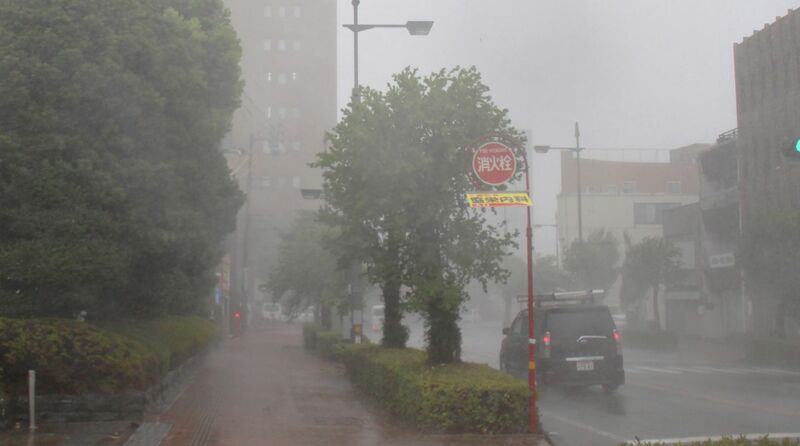 The approach of powerful typhoon Jebi left more than 600 flights cancelled on Tuesday in Japan, following a forecast of strong winds and heavy rainfall in the western and eastern regions. Jebi, the Pacific’s 21st typhoon this season — described as “very strong” by the Japan Meteorological Agency (JMA), is expected to make landfall on the Shikoku island or the Kii peninsula around noon, Efe news reported. It has also warned of potential strong waves, floods and landslides as Jebi could be the strongest typhoon in 25 years. Sub-urban trains and high-speed railways, such as the one covering the Osaka-Hiroshima route, were suspended indefinitely. Others have decided to operate less frequently, according to public broadcaster NHK. Some companies recommended their employees to work from home on Tuesday. Schools in the affected areas have also been shut indefinitely. The Universal Studios Osaka also suspended its services. The typhoon is expected to cross the Sea of Japan on Tuesday night and gradually weaken to an extratropical cyclone on Wednesday, according to the JMA.